Anticipation for Ultra Worldwide’s first foray into the land known universally as ‘Down Under’ was at fever pitch and let there be no doubt, the event delivered and kept on delivering until the last record was played and the lights went out. The day in Melbourne began with up-and-coming Artist Moe kicking off the proceedings. The energy levels at that point were already soaring as Australian favorites Mashd N Kutcher and DJ Tigerlily followed suit. Home-grown stars Timmy Trumpet and Will Sparks (with guest vocalist Luciana) upped the ante and set the bar high for what was to follow. 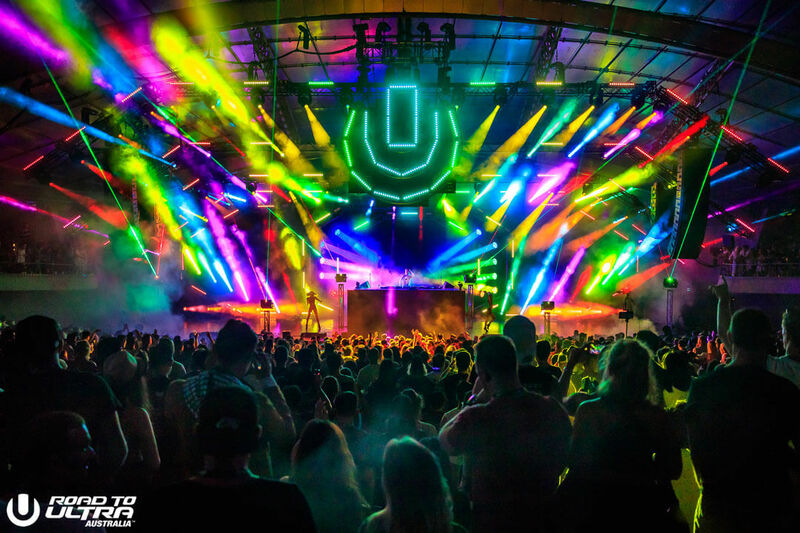 As the infamous ‘Ultra Angels’ brought their world-famous routine to the Sidney Myer Music Bowl, next level production lighting was activated as dusk led to dark. Andrew Rayel who is much loved to Aussie audiences & no stranger to our shores, raised the energy levels & excitement in anticipation of KSHMR, where together with Carnage and Timmy Trumpet expressed his delight at being on stage in Melbourne for the first time – they then performed their mega hit ‘Toca.’ Carnage by name and certainly carnage by nature caused mayhem with his unmatchable energy and love of the microphone, and this was of course the perfect lead up to Afrojack. It was Axwell’s closing set (having played the same venue just a few years prior) that finally brought the curtain down but not before blowing the minds of all in attendance. We are thrilled with the response to our very first ‘Ultra Australia’ / ‘Road to Ultra’ event and are speechless with the turnout, behaviour and respect of our fans who travelled from overseas and across Australia to be in Melbourne. We couldn’t have hoped for better and it is YOU, our fans that have paved the way for greater things in 2019.